Versatile and durable 3/16" chisel tip marks in a variety of line widths. Permanent ink is quick drying, water and rub-resistant. Nontoxic; ACMI certified (conforms to ASTM D- 4236). Versatile and durable 3/16" chisel tip marks in a variety of line widths. Bold, low-odor ink provides high visibility from a distance on most surfaces including cardboard, metal and plastic. 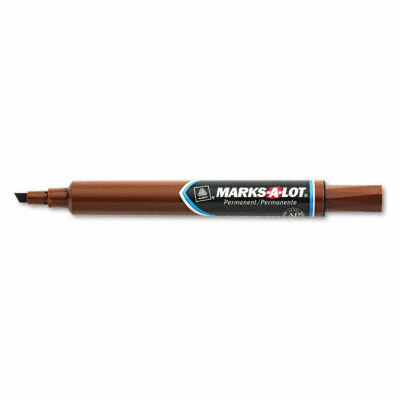 Large size has a generous ink supply for extra long life. Permanent ink is quick drying, water and rub-resistant. Nontoxic; ACMI certified (conforms to ASTM D- 4236).